Chris Mollard was our only entry here and came 26th. Paul Harden and Paul Lowen ventured abroad to France to take part in the European Veterans championships. Paul Lowen came 16th out of 76 in ‘50s’ mens foil while Paul Harden came 31st in the ‘60s’ mens foil. After taking first and second last year, Saxon’s ubiquitous two teams, the Huscarles and the Fyrd, made their optimistic way to Abingdon to compete in the White Horse Team Trophy. The Huscarles on paper looked like a team capable of retaining the silverware. Sabreur Simon Whitaker has transformed from upstart into a genuinely classy fencer, with a fleetness of foot most Saxons can barely imagine. Nick Mort, returning to his preferred weapon after fencing sabre last year, we all know as a foilist of great skill and repute. It was hoped that Epeeist Grant Smith’s record of solid above-averageness, despite this year being a bit rusty and carrying a bit more timber than ideal, would prove to be enough. The Fyrd blended youth and experience (if not in quite equal measures). The ever present sabre of Adrian Medhurst was joined by the skillful and experienced foilist Patrick Dempsey and the up and coming tyro epeeist Alex Searle. As always the tournament began with a poule unique in each weapon. With only 8 participants this year, this was somewhat less gruelling than of yore. In the sabre, Simon only lost one of his 7 bouts, losing only to a wily veteran from Stourbridge to take 2nd seed whilst Adrian’s 4 wins earned him a creditable 4th. In the Epee, Alex struggled a little, only winning 1 of his 7 bouts although there were several close bouts and he deserved better than his 7th place. Grant scrapped hard and was pleased with his 5 wins and 3rd place, his foot hits working well. In the foil it was the nominally 2nd team fencer Patrick who took the honours, his 6 wins and second place beating Nick’s solid 5 wins and 4th. The difference between the two was their head-to-head encounter, one played out many times of the years, which Patrick won. The Huscarles consistancy earned them no. 1 seeding overall, whilst the Fyrd’s 6th meant they would have a challenging elimination round from the start, the strong ULU team. The match started badly for the Fryd, with Alex going several points down against the very capable Graham Miles. 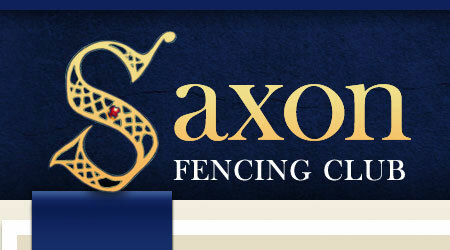 Alex is a clever fencer, however, and learns quickly. He took several points without reply and handed over to Patrick only 10-9 down. Patrick squared off against foilist Maxim Izotov, confident of his form and only one point down, but the Russian had the better of the bout, steadily outscoring Patrick, and handing (about) a 5 point deficit (records and memory being imperfect) to Adrian. After falling further behind, the bearded Kentishman found his distance and timing and was reeling ULU’s Darren Page in. A ten point leg is but a blink of the eye in sabre, however and ULU reached the required 30 points before they could be caught. However, Alex, Patrick and Adrian had taken what looked like a mismatch and run ULU close in a match which felt closer than the 30-25 scoreline suggested. The Huscarles had a far easier quarter final against Wrekin B, all three dominating their opponents to take a comfortable 30-14 win. The semi final against Oxford should also,on paper, have been canter for the Huscarles, but they contrived to make hard work of it. In the first leg Nick couldn’t quite get it right and handed Grant a small deficit. Grant then pushed too hard to make this up and leaked hits until handing over to Simon 9 behind. Simon then played the most remarkable leg of the tournament. Never doubting himself, in one of the finest displays of footwork and whacking seen in Saxon colours, he not only made up for his team mates profligacy, he extended the lead to a convincing 30-25. This earned them a final place against ULU who had won their own tough semi-final against Stourbridge Squirrels. First up, Simon won his leg against Darren, although at 10-8 it was not as dominant as might have been expected. Nick and Max are also old foes and a close bout was expected. Nick just had Max’s measure on this occasion, and handed over to Grant 4 points up. ULU’s Graham,is also well known to Saxon from previous encounters and is a good fencer, but had been slightly off his best all day. Grant had beaten him in the poule and should have been able, at epee, to defend his lead. Unfortunately, Graham chose this moment to find his mojo and his beat-fleches had the overly defensive Grant repeatedly flat-footed. Grant was reeled in, passed and his late rally quashed to give the title to ULU 30-28, giving ULU a clean sweep over the Saxons and consigning the champions to a creditable, if disappointing, runner’s up spot.